My decision to have a career in music was made when I was 14. I had no idea what that meant, or what exactly I would do, but I knew it had to be music. At the time, the only choices I could think of were to be a music teacher or a performer. It wasn’t until after earning bachelor’s and master’s degrees, that I discovered the behind-the-scenes part of the music business. Do you have students, who like me, know they want to have a career in music? One way for them to have a clearer understanding of how the business works is for them to become familiar with different “‘team members”’ and what they do that help to guide and grow an artist’s career. A musician will often seek a manager without really knowing what a manager does. This can set the relationship up for disaster. Musicians need to know the difference between a manager and a booking agent; many professionals don’t even know! In jazz and commercial music, the booking agent and manager are two different entities. A booking agent is essentially an employment agency; their job is to book gigs, period. Most people are surprised to find out it is NOT the manager’s main job to directly book gigs. The manager wants to exploit what is going on in an artist’s life, which gives substance to the team partners to do their jobs. For example, I recently had a client, Steve Wilson, conduct a workshop at the JEN conference. I suggested he do the clinic, publicized it on his social media, created a postcard for the event as a takeaway with contact information, and made sure that faculty at schools knew he would be there. Why? Because doing clinics at various schools around the world is an important part of his income stream. Plus JEN is a great venue to promote this part of his career. It is my job to capitalize on this type of event so he gets more work. The manager also takes care of the day-to-day operations of the artist’s work, booking airline tickets, signing contracts, obtaining visas, handling tour budgets, collecting fees, updating supporting musicians on tours, setting up recordings, keeping the calendar so the artist is not double-booked, confirming back line for each concert, hiring tour support personnel and so on. And, most importantly, communicating with each team member to maximize every opportunity for the artist to help grow their career. There are a tremendous number of details to look after for any artist! In addition, managers simultaneously work in both the present and the future. We must always be planning the next steps and projects as we take care of details of current events. A booking agent is the employment agency that books concerts. A publicist makes the media aware of who an artist is and what they do. They usually specialize in print media, internet media, social media, or radio, while some may do a combination of these. They must have excellent writing skills to communicate what the manager and artist want promoted. A website/social media manager manages all the content on your website and social media pages with the goal to increase your followers and keep your fans up to date on what you are doing. These should reflect what the publicist is promoting. An accountant handles the artist’s money, taxes, and financial affairs. A good accountant will also be a financial planner and help the artist develop a retirement plan and tax planning. It is the accountant’s job to make sure the artist is in good financial standing. A travel agent helps book airline tickets, budget tour travel, visas, car rentals, hotels, etc. Most importantly they help during a travel crisis. A lawyer will deal with all legal matters, performance contracts (managers may sign these also), recording contracts, and mediate disputes. They may also function as a business manager. Company endorsements are the result of a partnership between an artist and the makers of a product the artist uses, like Yamaha saxophones, Roland guitar pedals, Mark Bass amps, etc. The company may give the artist exposure in ads and, promotional events, support educational activities, and offer additional networking opportunities. A record company may financially support the artists’ recordings, and help produce, distribute, and promote the recordings. The recording industry is not at all what it used to be, so it’s helpful to have a realistic approach to this relationship. Advice is to look for a partner who can help you achieve your goals. A road manager takes care of the artist and their band while on tour. They work with each venue to make sure the stage is properly equipped and set for the show, gets the band from place to place, handle merchandise, and take care of all the artist’s needs while they are on the road. An audio engineer is responsible for advancing each concert, mixing the concert, making sure the band’s technical needs met. They may also function as a road manager. When you advance a concert, you call the venue, usually the production manager, to go over all of the requirements for your show which you would have been stated in the contact and tech rider. Let them know your arrival time, set sound check, go over any hospitality needs, etc. Advancing gives both sides to communicate needs and boundaries, so everyone is prepared for the day of. Preparation always makes for a better experience! If, like me, a student chooses to not pursue a career as a performer, they might consider any of the roles described above as a potential direction. These basic job descriptions are good to know when a young artist is seeking help; they are also good to know if an artist is managing themselves. Not all artists need managers. Just being aware of what needs to be done empowers artists to look after these important areas of their career that need care and attention. Not all musicians can afford a manager. Managers typically earn between 10% – 20% of the artist’s income for their services, and often charge monthly retainers in addition to commissions. Similarly, a booking agent charges a 10% – 15% commission. The classical music world operates a bit differently. Classical music management companies and agencies, like CAMI, IMG, Frank Solomon, Mel Kaplan, etc, provide both management and booking and typically charge a 20% commission for their services. When seeking management or a booking agency, approach only people relevant to your genre of music, be professional, write with correct grammar, be respectful, and give a sense of your personality. Be you! It is also vital to remember as you add to your network, you are developing relationships, one of the most valuable things you can do for yourself. Even if someone turns you down now, they may want to work with you later. Every relationship you have is an asset, and should be treated as such. I reconnected in business with someone I went to college with 30 years later! We had left good impressions with each other then, and now we have a fabulous working relationship. You just never know. My advice about being yourself and building relationships is applicable whether students wish to be performers, want to pursue one of the other performance-related careers described above, or, frankly, get any other job. Good relationships are your best asset! 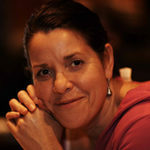 Laura Hartmann founded LVanHart Artist Productions in 1997, a management and production company serving the jazz community. 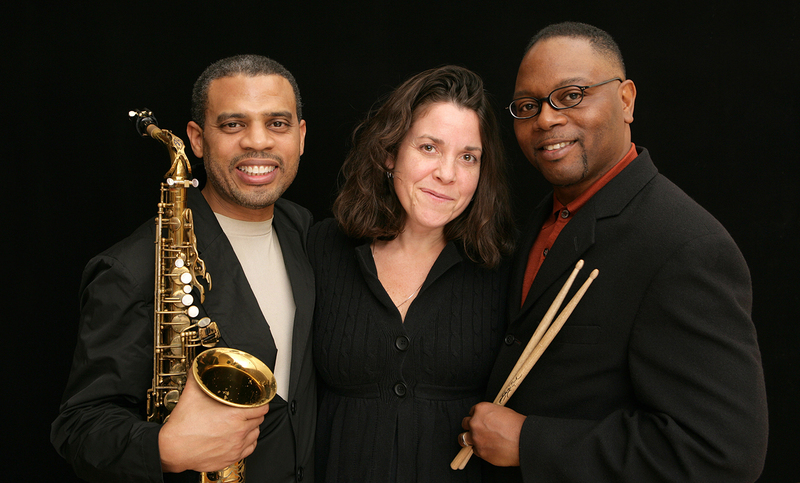 Currently representing Steve Wilson (a 20-year relationship), Steve Wilson/Lewis Nash Duo, Mike Stern and Diane Monroe, she has also worked with Terrell Stafford, Joe Locke, Bob Berg, James Williams, Michael Wolff, Ray Drummond and many others. Production credits include "A Celebration of the Life and Legacy of Dr. Billy Taylor," featuring Ramsey Lewis, tributes for the Chamber Music America conference honoring Dr. Billy Taylor, Chick Corea, Marian McPartland and the America Brass Quintet. In 2013 she co-produced the celebration of the life of Mulgrew Miller with Steve Wilson at Dizzy’s Coca Cola Club at Jazz at Lincoln Center. She has been involved in the producing of several CD’s, most recently, Steve Wilson/Lewis Nash Duo, Duologue (MCG Jazz), Wilsonian’s Grain Live in New York: The Vanguard Sessions (Random Act Records), and Diane Monroe/Tony Miceli Duo, Alone Together (Dreambox Media). An adjunct faculty member at the College of St. Rose in Albany, NY, she has led workshops at colleges and universities and is also available for private consultations and workshops, which she talks about in this video.